Exquisite! That filling is terrific and your pastry looks perfect. Homemade puff pastry scares me but this looks amazing!! I'm definitely going to try the simple puff pastry method! Mmm... my mouth is watering for the gianduia. Scratch puff pastry is too scary for me at the moment, but I may just have to try this with store-bought. Yummy. I am a hazelnut addict. Your pastry is gorgeous. Like you, I've never paid too much attention to quick puff pastry. Had a couple of bad experiences with it. I have always cast a skeptical eye at those quick puff pastry recipes and have never tried one. You've convinced me to give this on a go, though. I have made neither Lisa but I see that I have addd both to my bucket list. Lisa this is absolutely amazing: Homemade puff pastry and homemade Nutella! I would have never dreamed of trying this but you make it sound very easy. 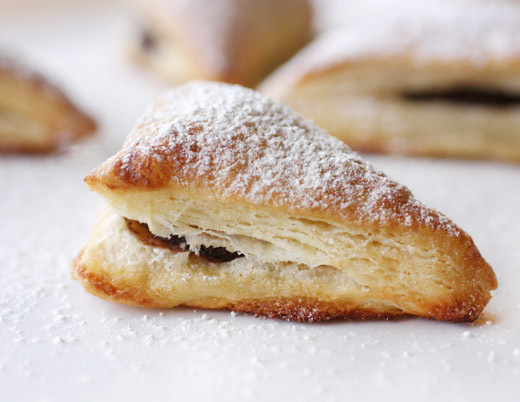 Wow Lisa, you always surprise me...this turnovers look absolutely gorgeous...I can almost taste the lightness of the puff pastry with the creamy gianduia. No and no. But wow will I ever! That puff pastry looks fabulous and much flakier than my traditional puff pastry. Stupendous! And I have had homemade nutella on my to-do list forever. Thanks for the recipes and the inspiration! I've been wanting to eat hazelnut with chocolate. And this is a nice recipe and perfect combination. These are just about the most gorgeous thing I've seen today.Our family is crazy about Nutella! I should make these! I have a feeling I could never eat that frozen puff pastry again. These look so delicious and I am glad you have found a recipe for quick puff pastry. I have never attempted to make it myself. Your pastry looks fantastic, Lisa. 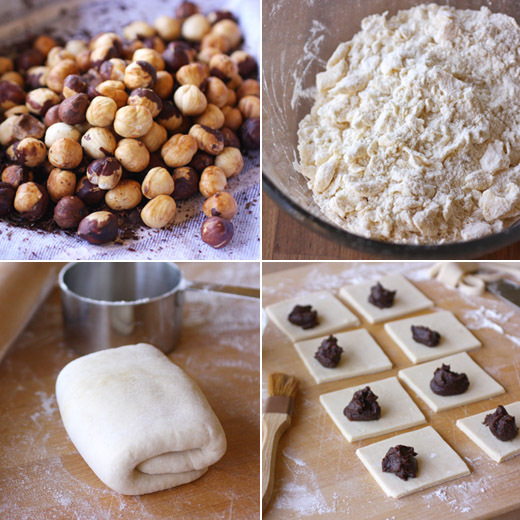 The hazelnut chocolate filling sounds divine! This is just beautiful, my friend. I have made puff pastry before...but it has been neither quick or easy. I can't wait to give this a try. In fact, I think I might change my afternoon plans so I can begin right away. Thank you for sharing another delicious recipe, Lisa! Yes and no. But I am always looking for a better rough puff pastry recipe because mine doesn't end up so beautifully puffed and layered like yours. I'll be trying this soon, Lisa! What a wonderful recipe! I always by the ready one, of course I wanted to make my own, but it seemed to be too difficult and time consuming. I hope to try out your recipe soon. Oh wow these look so good! I've never made anything like this, but really want to now! I've never tried easy puff pastry or homemade gianduia but I will add be adding these impressive treats to my "Baking" list! They have all the glamour of a most extraordinary dessert! These look amazing. I tried making puff pastry once but it' s not an easy job! Hazelnut and homemade puff pastry! Yes!!!!! Interesting...I love both puff pastry and hazelnut spread...ANYTHING hazelnut! Thanks. I have never made either. 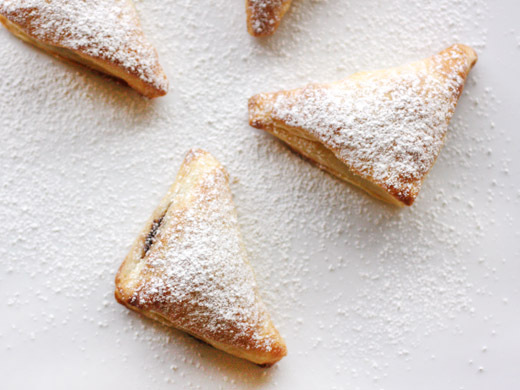 I've watched someone make quick puff in a class and it turned out great, but it's just one of those culinary fears that I have. I need to get over it! Wonderful job on these. I've passed that cookbook by because it seemed too meaty to me, but sounds like there are some great recipes in there!